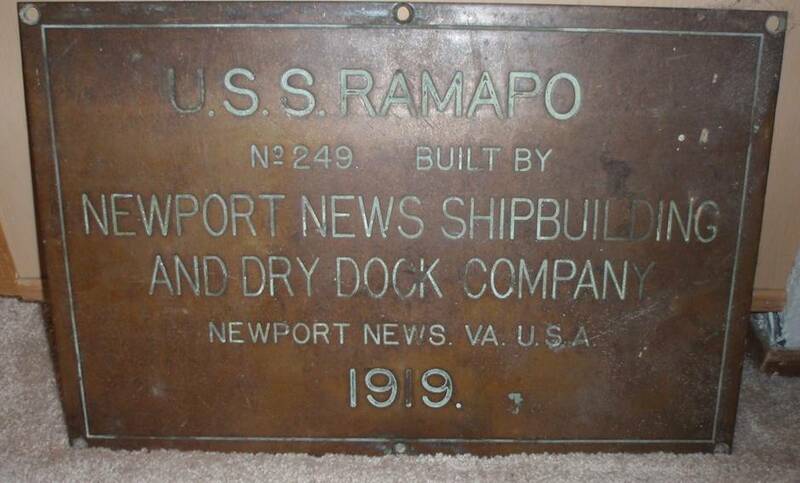 Laid down, 16 January 1919, under a United States Shipping Board (USSB) contact at Newport News Shipbuilding and Dry Dock, Co., Newport News, VA.
Decommissioned, 10 January 1946, at San Francisco, CA. Resold, 15 November 1948, to the Mar Trade Corp.
four Babcock and Wilcox header-type boilers, 200psi Sat. 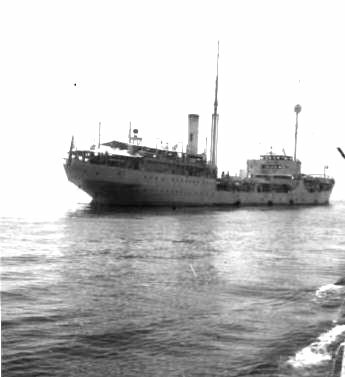 47k USS Ramapo (AO-12) at anchor, date and location unknown. 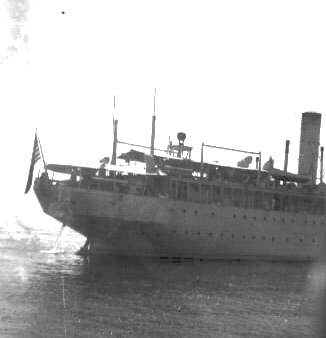 17k USS Ramapo (AO-12) at anchor off Lahaina, T.H., 31 March 1938. The water is so calm and she has her cane fenders down. Photo taken from USS New Orleans (CA-32) as she is coming along side Ramapo. 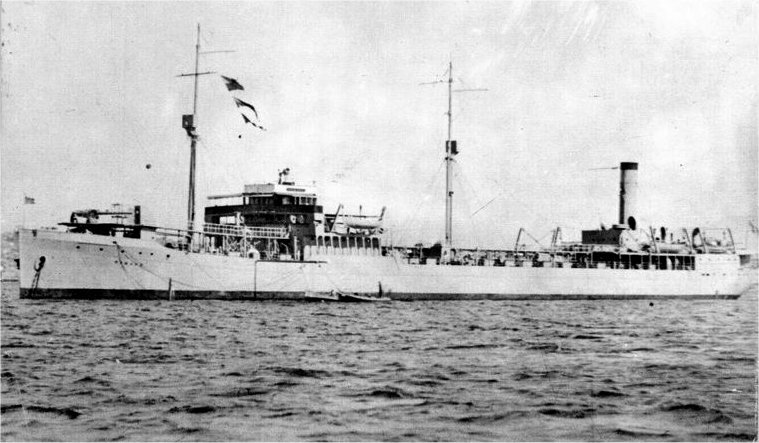 12k Another view of USS Ramapo (AO-12) at anchor off Lahaina, T.H., 31 March 1938. 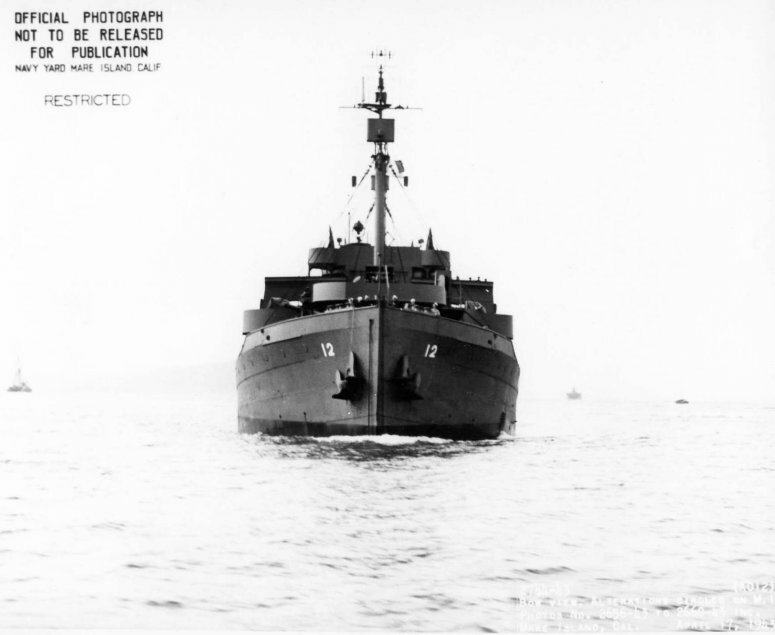 Photo taken from USS New Orleans (CA-32) as she approaches the oiler. 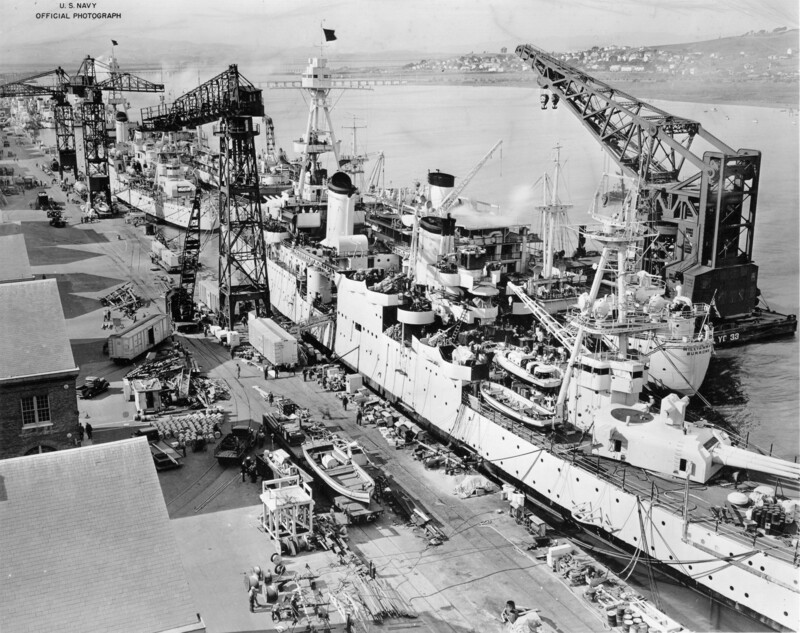 906k USS Ramapo (AO-12) is berthed outboard of USS Houston (CA-30), with USS Chicago (CA-29) berthed astern of Houston at the Navy Yard Mare Island, CA., 10 September 1940. USS William Ward Burrows (AP-6) and YD-33 (150 ton crane) are alongside Chicago. 152k USS Ramapo (AO-12) (plan view amidships) moored at Navy Yard Mare Island, Vallejo, CA., 15 April 1943. 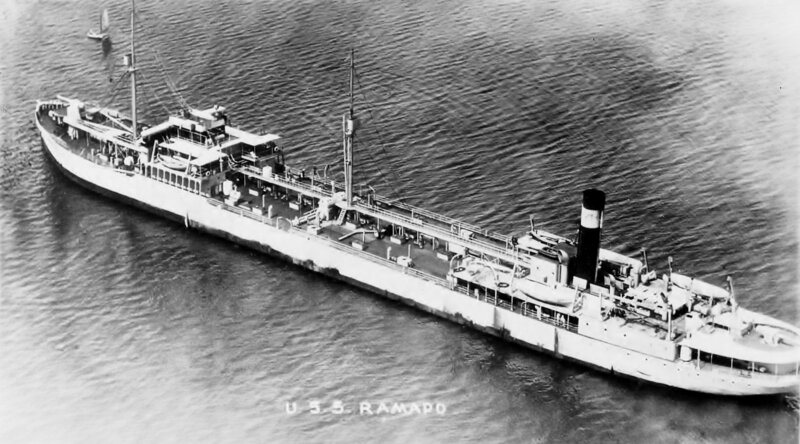 Ramapo was at Mare Island from 4 April until 16 April 1943. 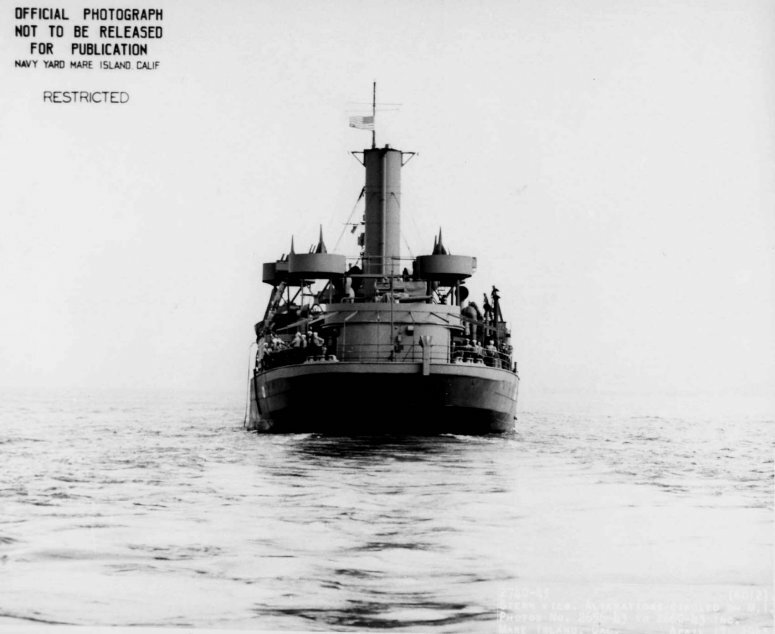 53k USS Ramapo (AO-12) (stern view) underway after departing Mare Island Navy Yard, 17 April 1943. 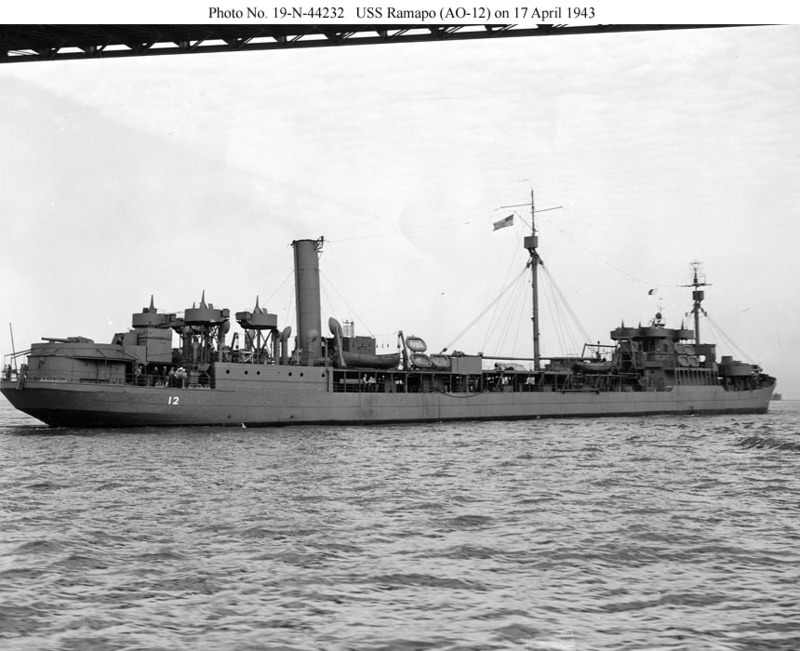 41k USS Ramapo (AO-12) (bows on view) underway after departing Mare Island Navy Yard, 17 April 1943. 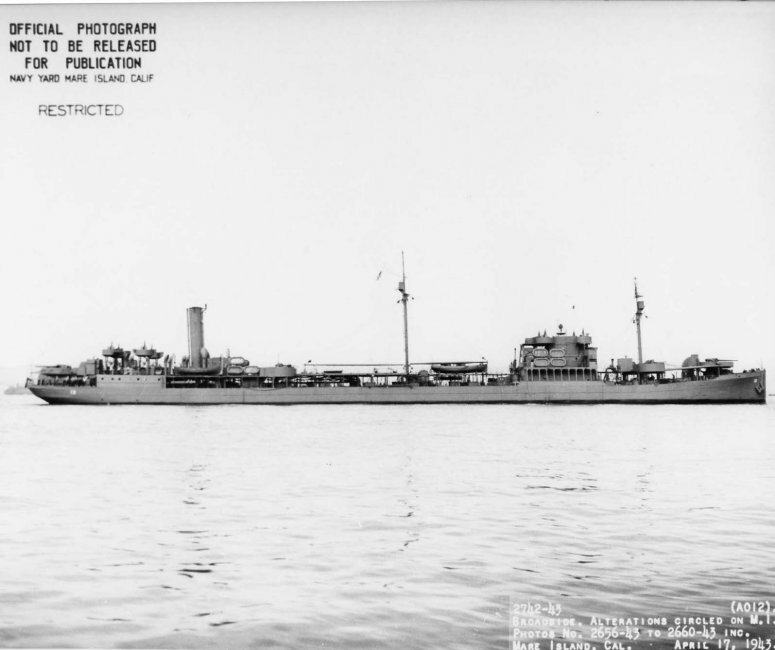 50k USS Ramapo (AO-12) (broadside view) underway after departing Mare Island Navy Yard, 17 April 1943. 145k USS Ramapo (AO-12) in San Francisco Bay, 17 April 1943. 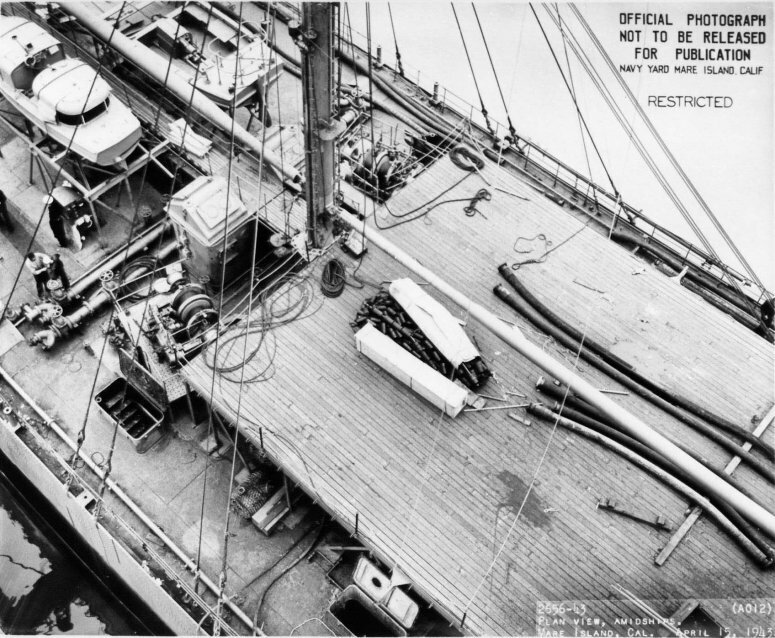 This view shows the very low freeboard of this flush decked tanker type when fully loaded. 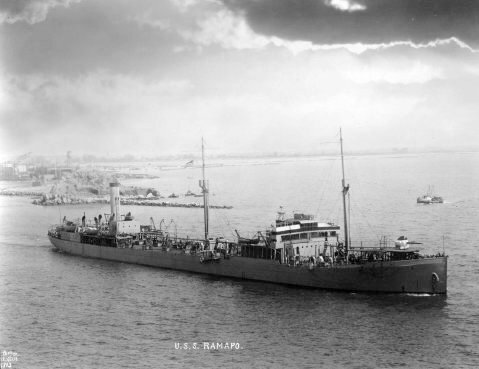 Ramapo has received a second pair of 3"/50 guns, one pair being forward of the bridge and the other being forward of the after superstructure.